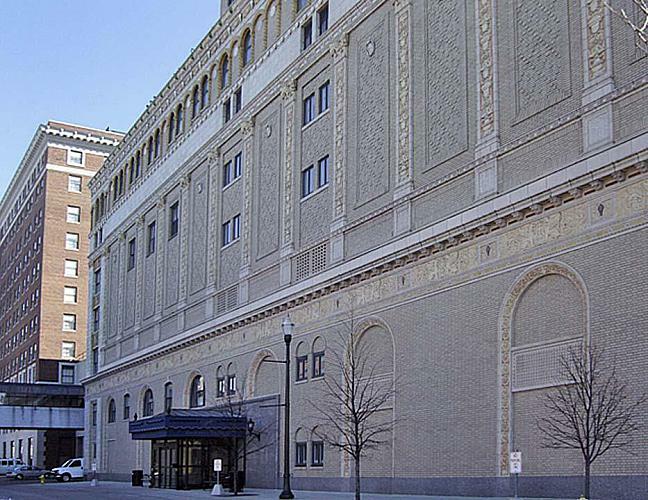 This view shows the north side of the former Fine Arts Building, facing Lyon St. The corner of the building seen at the far left is the former Pantlind Hotel, now the Amway Grand Plaza. The Fine Arts Building was later renamed the Exhibitors Building.